A Committee of Children's Librarians from across Rhode Island chooses 20 newly published books each year. They choose books that they think are "the best of the newest." Students that read a minimum of 3 books from the list can vote in February. The voting happens in the school library. 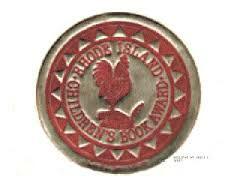 The votes are then counted from across the state, and each year one winner is chosen to win the RI Children's Book Award (RICBA). Past lists are also a great source of ideas for good books to read!